I purchased this art book as part of a bundle that also included an Alduin statue, both of which were originally part of the Skyrim collectors edition. This is an art book in every sense of the word. 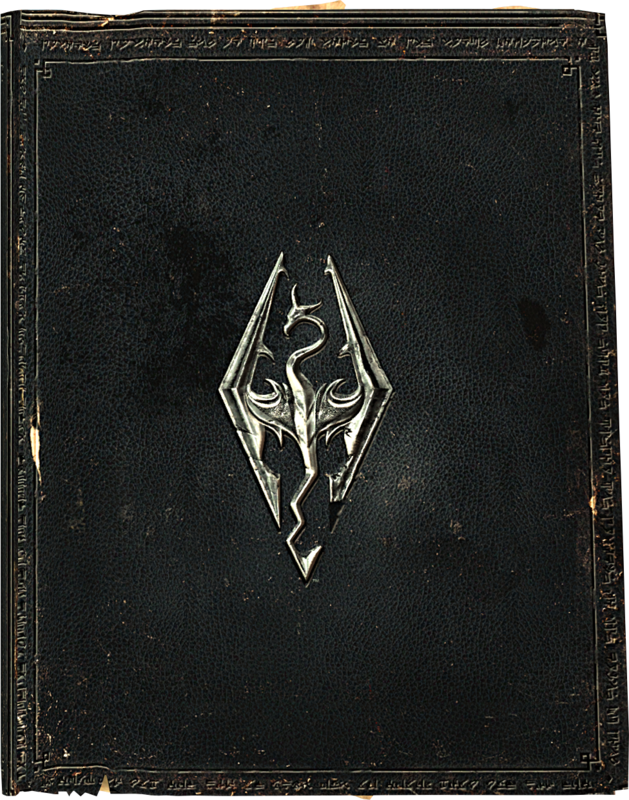 It’s not a strategy guide, nor it isn’t a comprehensive introduction to the world of Skyrim. Instead this book is a beautiful visual to what we expect to see or encounter in the game. It doesn’t go into much detail of Skyrim’s main story quest, but rather illustrates the world that we’re going to playing in. Illustrations include the cities, landscapes, creatures, the different races and their respective clothing and armor. This art book does not include walls of text, it does however include brief descriptions about the illustrations without going into full details behind the lore of The Elder Scrolls. Lastly, you’ll read about why certain characteristics of such characters where chosen, as well some basic background on why that choice was made. It’s been roughly six years since I’ve done any significant hardware refresh to my home lab. I’ve been using two Mid-2011 Mac Mini’s (i5 2.3GHz) as my physical servers. Both running Ubuntu Linux server with KVM and VirtualBox as the hypervisors. These tiny machines have been rock solid and have serve me well over all these years, however it’s come time to retire them; after all these two computers have been up and running 24×7 for at least six years respectively. Originally, my main concern using the now retired Mac Mini’s was heating, which I mainly mitigated by replacing their original spinning disk drives with solid state ones. One of the Mac Mini’s was a major concern in particular as it ran at least 15-20 degrees hotter than the other. During the summer this Mac Mini at times measured 90-99° Celsius! Of which I was force to shutdown the computer to allow it cool down. Another reason why I decided to finally retire both Mac Mini’s was because of noise. For the most part the Mac Mini’s are relatively silent, however since both machines are located my bedroom, the fan noise it’s quite noticeable (at least for my ears). So I decided to replace my Mac Minis with an Intel NUC (NUC7i3BNH). 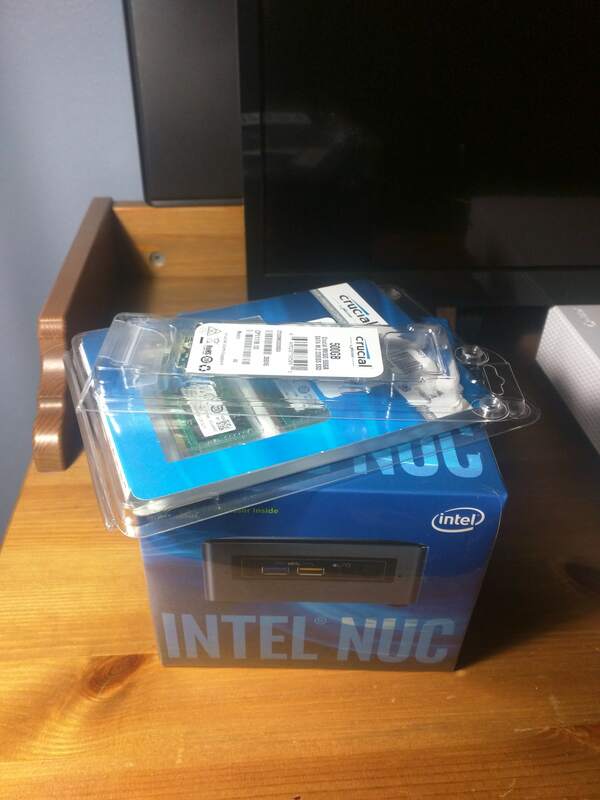 With total cost of $711.12, my new Intel NUC is projected to be my primary home lab server for the next 5 years. One thing that struck me was the removal of characters from the story as well as the removal certain elements of the drafts that didn’t quite fit with the narrative that J.R.R. Tolkien was trying accomplish in the Lord of The Rings. Yes, sadly Tom Bombadil had a tiny portion (the strange nature of his character still intrigues me). A very interesting thing about reading this book is that at this point, Tolkien had practically all the major plots of the Lord of The Rings already planned and laid out. By reading this book we get to see how the story keeps getting expanded to the epic literary master piece that it is. To the surprise of many, The Lord of The Rings is a religious (Catholic) novel. 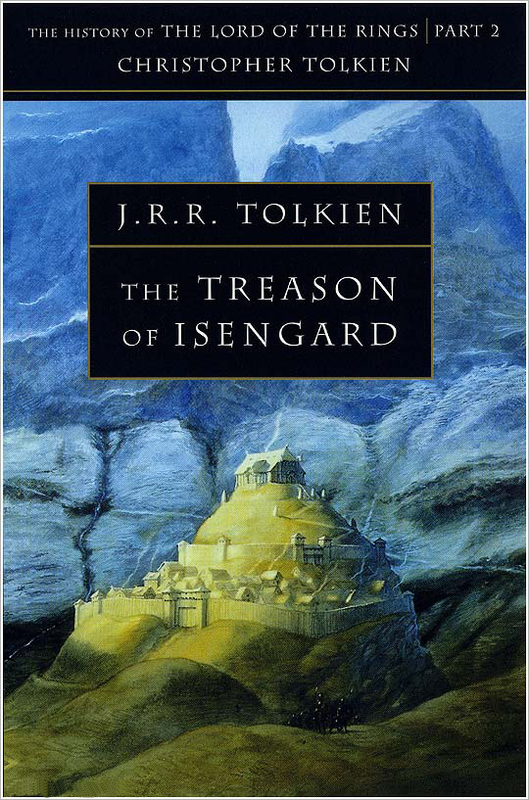 Reading both The Return of The Shadow and now the Treason of Isengard, I definitely could see many elements of it. For example in this book, to me it very quite how in the early manuscripts and drafts (and even on the final publish form), Galadriel is written and described as a Virgin Mary figure, similar to Elbereth in The Return of The Shadow. Finally in this book we get to read in more detail information about major figures in the Lord of The Rings like, Galadriel, Saruman, Treebeard and the Ents, and King Theoden. When it comes to A Game of Thrones (TV show) or A Song of Ice and Fire altogether; I’m completely clueless. So when I first started reading this book, I had no idea what to expect. I love fantasy, and epic high fantasy even more. I originally bought the mass market paperback A Song of Ice and Fire box set over two years ago. I kept on hold reading the novels because the series is not even finished! However, during my vacation I decided to finally start reading them since who knows when the hell George R. R. Martin will finish writing the whole thing. 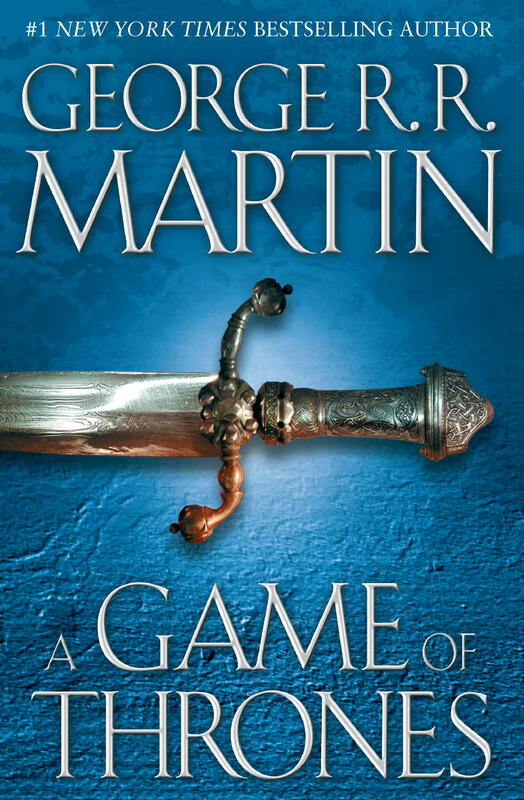 A Game of Thrones is the first book of a fairly long saga, which as I said, it’s not yet fully completed. This book lacked the traditional fantasy elements that I adore, like fairies and mythical creatures. Instead, this book is mainly somewhat of a murder mystery with complex political intrigue. Each chapter is based from a point of view of a certain character, and I feel this writing technique was beautifully executed by author George R. R. Martin. Practically almost at the end of each chapter, I kind of wished it kept going more given how well it captivated me. This is why I don’t think the length of the book should scare off anyone from reading this book or series. This book is really good! I really enjoyed reading A Game of Thrones. In my opinion, perhaps the only negative or downside to this book or series in general is that from reading just this book I can’t see one main story, instead it seems this fictional universe was written with a ton of subplots which at the end all will culminate together. This fantasy universe is very interesting, however I have a feeling I just read a small portion (albeit over 800 pages!) of what is a massive fantasy world. Unlike the PS4, I do have a decent amount of digital games for the PS3. This, mainly because of some great Humble Bundle PlayStation bundles I’ve bought through out the years where PS3 is the platform with the most digital games in the bundle. My PS3 originally came with just 120 GB drive, so I opted to upgrade it to a 500 GB (PS3 games are fairly small), and I must say, upgrading the hard drive on a PS4 was a significant easier process than a PS3. However most of my problems were trying to install the PS3 software into the new drive. At a high level, the install process is identical to that of the PS4, https://www.playstation.com/en-ie/get-help/help-library/system—hardware/system-software/updating-the-playstation-3-system-software-using-the-safe-mode-m/. Only major caveat is that the PS3 only supports USB 2.0 drives. I have plenty of USB 2.0 drives so I initially thought this was going to be a quick 10 minute project, and boy was I mistaken. The major problem I encountered was the PS3 safe mode prompt not detecting the PS3 Update on the USB drive. While, the documentation states that the USB drive should be formatted as FAT16 or FAT32, it does not state what label should the hard drive have. A couple of forum posts suggest setting the USB drive with an MBR label, which I had to do since my drive was set as GPT. After labeling the drive as MBR and reformatting it to FAT32 numerous times. The PS3 safe mode prompt still wasn’t detecting and loading the software. I even tried different USB 2.0 drives, just to verify the drive wasn’t faulty, and it still failed. I knew FAT32 has some limitations such as only supporting up 32GB partitions, however all of USB drives were 8GB so I thought this wasn’t the problem. Well I was mistaken, I partitioned my 8GB USB drive to have a single 2GB primary partition and just left the other space unallocated. Then I once again reformatted the drive as FAT32, and copied the UPDATE software to it, and lo and behold; the PS3 safe mode prompt was able to successfully load and install the PS3 OS Update software onto the new 500GB upgraded drive. It took me about 3 hours to troubleshoot and fix the problem, but the most infuriating thing is that fact that this is not mentioned in the Sony PlayStation documentation! Create a primary partition 2GB or smaller. Format primary partition as FAT32. Reading wise, March was somewhat of a slow month. The only real reading I’ve done this past month was that of AWS Certified Solutions Architect Official Study Guide: Associate Exam book, for the technical certifications that I’m studying for. For gaming, I played a whole lot of Middle-Earth Shadow of War, and I must say I’m enjoying this game more than I did the original Shadow of Mordor. I’m not a big fan of stealth games, so unlike Shadow of Mordor, Shadow of War is far less punishable. It’s still a somewhat difficult game, but in general I found this new second version to be far more enjoyable than the original. About 40+ hours in, I’m able about 80% through the main story mode. This game definitely has enough content to keep you busy for over 100+ hours! Also gaming wise, I finally finished Wolfenstein: The New Order. Overall, it’s a fantastic fps game, but I must say I think I enjoyed more Wolfenstein: The Old Blood. Finally, I started playing Nier: Automata. I’m about four hours into this game, and I’m having a hard time getting into it. Role playing games are by favorite genre of video games, however the quest and character skill system is meh. Hopefully this game will get better further more into the storyline. During March, I did a significant amount of studying for the AWS Certified Cloud Practitioner and AWS Certified Solutions Architect – Associate. When The Witcher III: Wild Hunt Prime 1 statues were first announced, I told myself I was “only” going to buy the Eredin statue; so I immediately pre-ordered it. Main reason being that Eredin would look awesome next to my Sauron statue, and like Sauron himself, both being the chief antagonists of two book and book series that I love. 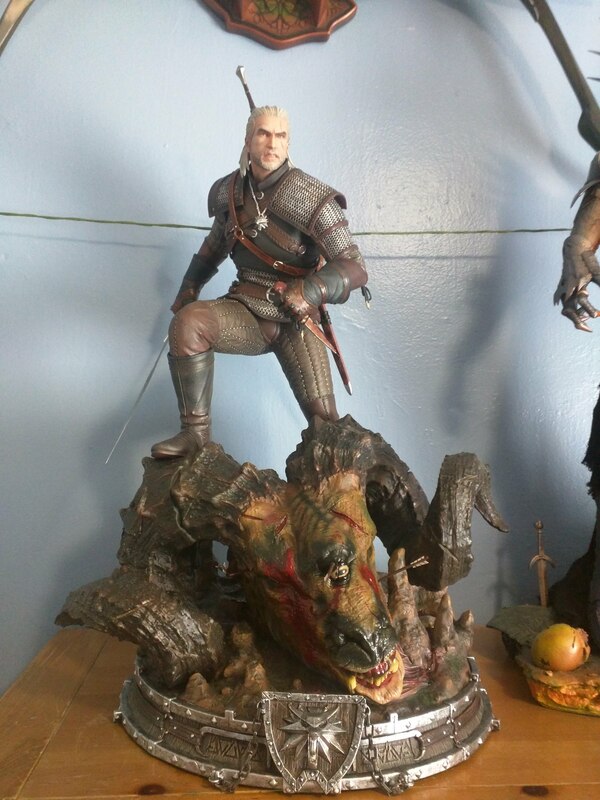 Unfortunately for me, the Geralt of Rivia statue was going to be the first statue in The Witcher lineup that was going to be made and shipped out to customers. Little that I knew that Prime 1 has the bad reputation of delaying the manufactured and shipment of their statues. Yet, the small, but prevalent impatient side of me couldn’t wait for another 6 months for my Eredin statue to arrive. This being almost a 9 month delay in total! So I decided to purchase the Geralt of Rivia statue while Eredin arrives. My Nexus 6’s camera in a low-light setting doesn’t fully portray how incredibly beautiful my statue is. This new statue is beautiful! Hopefully, my Eredin statue finally arrives sometime in July, however I must say that now thanks to this new Geralt statue, I’ve gone ahead and pre-order the Ciri of Cintra exclusive statue. Which is scheduled to arrive sometime in July-September 2019. So knowing how Prime 1 works, it will be very likely that I’ll be receiving the Ciri of Cintra statue sometime in early or mid 2020. Now, I have a feeling that a year from now I might be seeing myself purchasing both Yennefer of Vengerberg and Triss Merigold statues to complete the entire collection, and because I was impatient to wait for the Ciri statue to arrive. Hopefully I’m mistaken given how incredibly expensive the statues are and also by the fact that I don’t know where the hell I’ll be displaying the Yennefer and Triss statues since I’m limited in space! Just about anything interesting that I did the past month. For starters, this blog post is really late, it’s March 11th, and me being a king of procrastination; I finally took the time to write up my February 2018 favorites. Reading wise, last month I read the first two books (publication order) of The Chronicles of Narnia. The Lion, the Witch and the Wardrobe and Prince Caspian: The Return to Narnia. Both being quite enjoyable reads. My goal is the read the remaining five books this month. 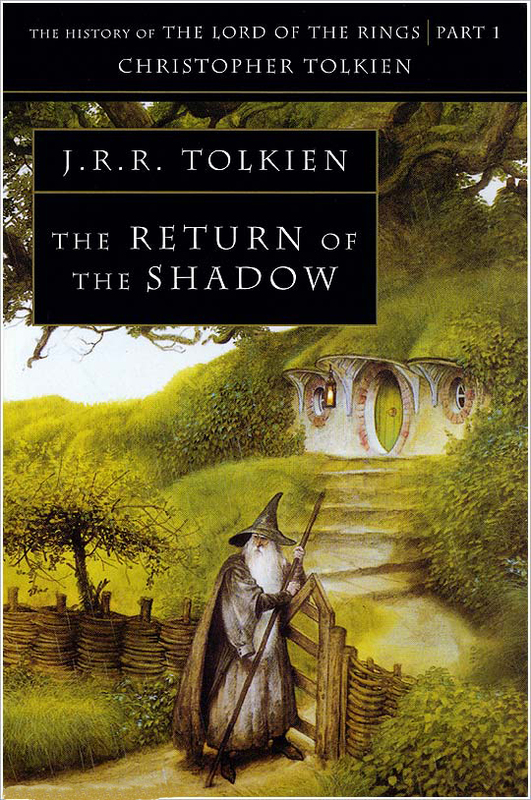 Also last month, I read about half of the sixth book The Complete History of Middle-Earth series, The Return of the Shadow. Gaming wise, last month I finally purchased and played the Horizon Zero Dawn: The Frozen Wilds expansion. Horizon Zero Dawn was my favorite game of 2017, and the expansion added a somewhat massive additional map, cool new weapons, and new machines (difficult) to battle. I’m a big fan of the story in Horizon Zero Dawn, so I hope this is the first of many games in this awesome new franchise. Lastly, last month I played, through most of the campaign of Wolfenstein: The New Order. Gameplay is really fun, however I really disliked the useless boring puzzle like missions that really don’t add much to main story. Finally self-improvement and professionally wise, I started studying for the AWS Certified Solutions Architect – Associate certification. For the resources, I’m using courses from A Cloud Guru and Linux Academy, as well the books AWS Certified Solutions Architect Official Study Guide: Associate Exam 1st Edition and Amazon Web Services in Action.